Much is up in the air about ACA and what changes may be made. Unfortunately, we do not have much more information about what exactly the future of healthcare holds than does anyone else. We have not opted out of any plans offered on the "exchanges." Unfortunately, many of the plans have "streamlined" their networks and have removed us from their provider list. Often without informing us. Please see the insurance page for the current list of insurances we can and can not take. Everyone, whether on on employer-sponsored insurance or insurance plans offered through the exchanges should be aware that the individuals' responsibility for paying for the healthcare services received is likely to go up--in the form of higher deductibles, co-pays or co-insurances. Please plan accordingly as we are required to bill you for the portion for which you are responsible. If you do not pay your health care insurance premium and your insurance does not pay us, you are responsible for the entire cost of services rendered. Please be sure to keep up with your health care premiums. Due to the 90 day grace period for paying premiums for the ACA products, we require proof that your premiums is currently paid in order to use it in our office. Copay: A flat fee you pay for each health care service or prescription. Coinsurance: A share of the bill for a health service covered by your plan. For example, many plans require you to pay 20% of the bill if you visit an in-network doctor and a higher percentage if you visit an out-of network doctor. Different plans have different coinsurance percentages. Covered Expense: The health care services, procedures, and products your health insurance company agrees to pay for. If your health insurance does not pay for it, you need to. Many cosmetic procedures are not covered expenses. Deductible: A specified yearly amount you must pay before your health plan starts paying all (or a portion of) your healthcare costs. Some plans have a deductible of $500. Deductibles may range from as low as $500 up to as high as $10,000. This is similar to the deductible on your car insurance or homeowners insurance. Allowable amount: The dollar amount your health plan considers appropriate for a service. This is set by contract between the insurer and the physician. Explanation of benefits (EOB): Statement from your insurance company that outlines the allowed charges and states what is covered, what has been paid for by the insurance company and what you owe. These are usually mailed to your home from the insurance company with a statement that says "not a bill." More frequently, these are available online at your insurance's website. 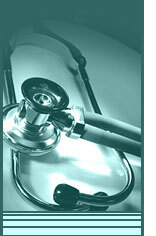 To assist you further, here are some helpful websites regarding the new healthcare laws.